Finally, after much waiting, PopCap, the creator of the famous video game “Plants vs. Zombies”, has announced that this game will have a sequel that will launch next July. The sequel will be called “Plants vs Zombies 2: It’s about time”. The company has announced the sequel through a video that has hung where you can see several players, of different ages, complaining and demanding a sequel of the famous game. At the end of the video the company announces the release of the sequel and that the launch will take place in July this year. The game, which was released in 2009, has been adapted to all possible platforms, both consoles like Xbox 360, PlayStation, PSP, PS Vita, Nintendo DS and mobile operating systems iOS, Android, Windows Phone and even for Samsung Bada operating system. On this occasion, the player has to defend his home from the attack of the zombies. To do this there will be different types of plants that will help to destroy the intruders and kill them. 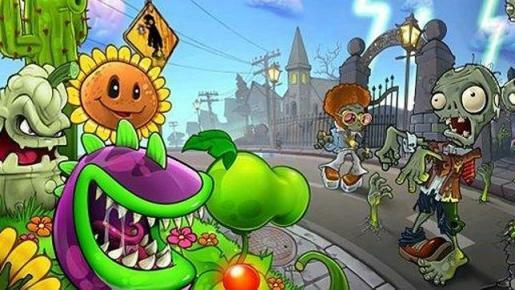 The kind of plants that the player can use covers from simple sunflowers to the provide soles for other plants, to a Peashooter that kills zombies. Zombies are also very varied, and each of them has different attributes and different plants will be needed to kill them. For example, some of the skills are digging below the plants or jump over these with the help of poles, carry different objects as hull or cones or be able to be mounted in a dolphin. The game has several modes, the most famous, and foremost, is the Adventure Mode where players start defending front yard and then go through other venues such as the roof of your house or pool. Then you also have access to several minigames that will help you get coins to buy and improve the plants you have.